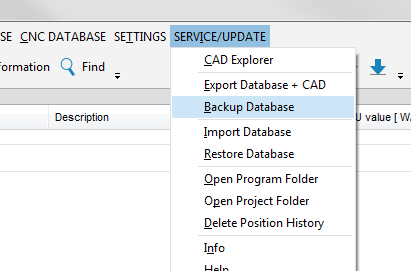 In the area “Service/Update” there is a function which allows different databases to be exported. Select “Service/Update” in the menu and click the option “Backup Database”. 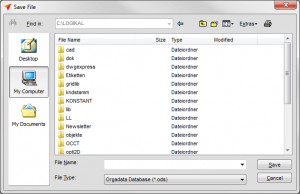 Select the databases you wish to export from the list. 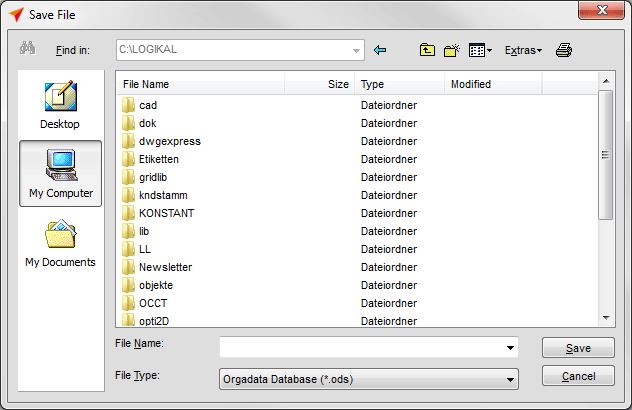 Click “Export” in the toolbar to save the database as an ODS file. 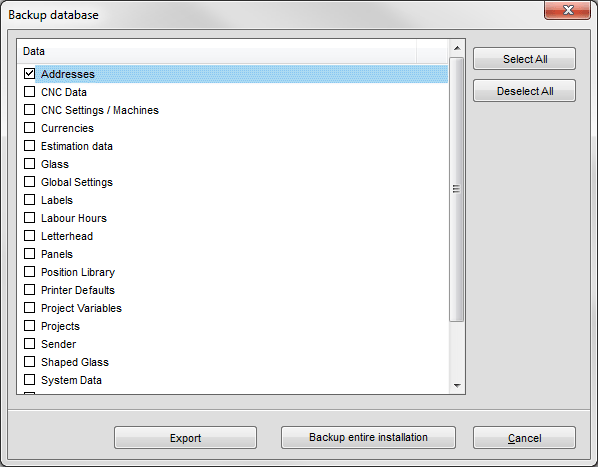 To add this file on another PC, click “Service/Update” and this time select the option “Restore Database”. 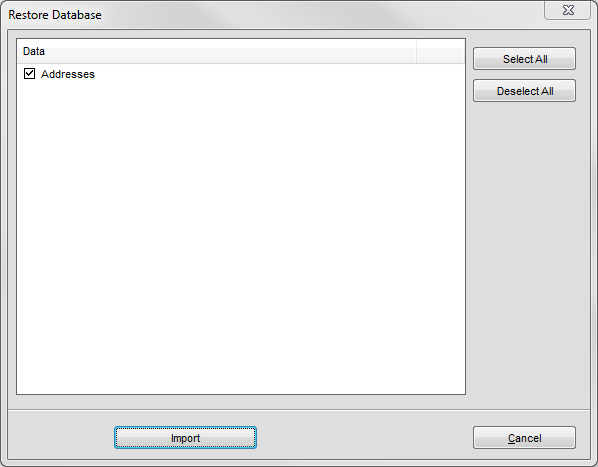 Select the ODS file in the file dialogue. 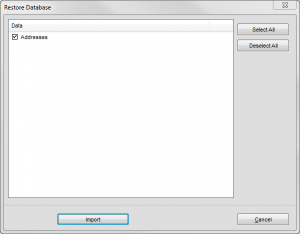 Select the type of database, that is to be imported, from the list and click “Import” in the toolbar.